Issaquena County, the smallest county in the state as far as population with only 1,400 residents, operates its Chancery Clerk's office out of the county seat of Mayersville, on 129 Court Street. One of the main duties of the Chancery Clerk is to maintain the property records for the county, as well as others, such as divorces, adoptions, etc., however many records are not open to the public due to containing personal information. 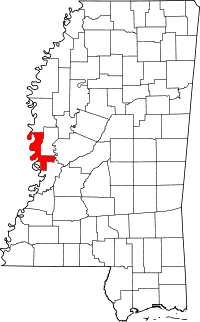 In addition, the Issaquena Genealogy and History Project provides a number of resources for research purposes online, such as census records from the mid 1800s, property records from the same era, county Civil War records, and others. The Project also provides references to a number of addition resources to aid in research for the county, as well as the entire state. To apply for copies of marriage, death, and birth records, contact the MS State Dept of Health's Vital Records department.